When the body of Michelle Von Emster came to the authorities, the doctors who analyzed her saw it very clearly. A shark or a group had skinned her everywhere. However, the more one knew about what happened the night before, the less obvious was the official cause of death. 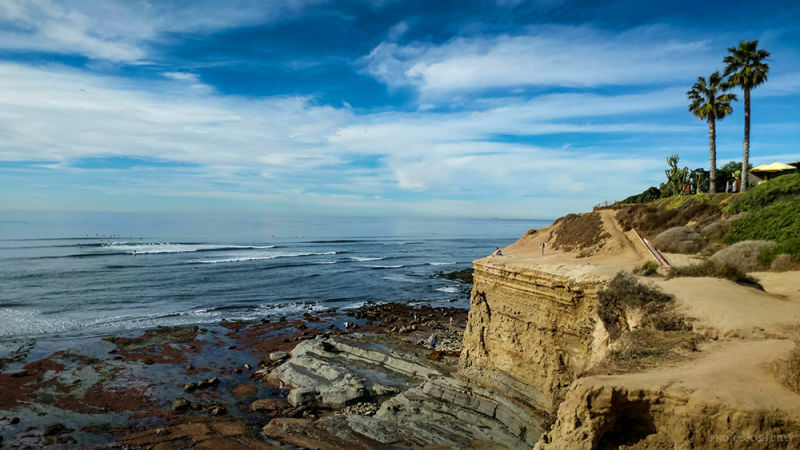 The area of Sunset Cliffs (San Diego) is attached to the Pacific, a coastal area with a surface of sandstone with grooves, an area unpredictable by the rough sea that reigns and the frequent inclement weather. In fact, huge signs often warn tourists to watch the stage from behind the railings and chains that are on the promenade. The story began on Friday, April 15, 1994, when two surfers realized something very strange: a group of seagulls “standing” in the ocean, maybe half a dozen, pecking at something that floated. When the curiosity took hold of both, the boys approached to see what it was about. Horrified, there was a lifeless body floating on the surface, that of Michelle Von Emster swaying upside down on the waves. Her brown eyes were open, and they seemed to look distractedly at the rocky bottom. She was naked except for two rings and a brass bracelet. Seagulls perched on her back, her arms floated forward, and what remained of her legs were curled up in a strange form of question mark. One wing of a butterfly tattoo remained on her right shoulder, however, the other was missing, along with a large piece of skin. Even before an autopsy was performed, the unofficial verdict seemed clear: a large white shark had attacked her at midnight. On Saturday afternoon, the coroner confirmed the “attack”. Local television stations dusted all tapes of white sharks. 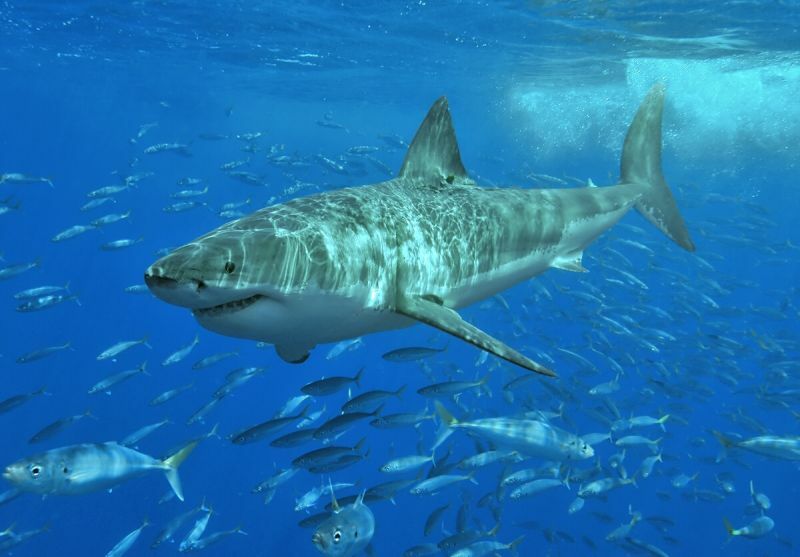 The San Diego Tribune published a story on how to avoid becoming a bait for sharks: ” Never swim in areas where sharks are known to be common, ” they went on to say. The truth is that the facts mixed perfectly with the images that are familiar to anyone who has seen the legendary film Spielberg. However, everything at first seemed so clear, then it was not. Her body had much more to tell. 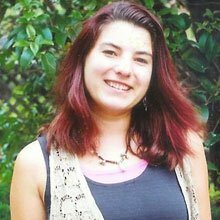 Michelle went swimming alone at midnight in the ocean, she was last seen alive at 8:00 p.m. The girl went into the water sometime around 12:00 at night. Shortly after she entered the Pacific waters, she was attacked by a great white shark. However, after the official note, many began to ask a series of questions that seriously questioned the theory of the shark attack. Von Emster finally drowned after an internal hemorrhage, not blood loss. The girl also had, among other injuries, a broken neck, bruises and bruises on her face and arms, broken ribs and bruises, and her pelvis was torn forcibly. None of these injuries are consistent with the attack of sharks. Also, the water temperature was very cold for swimming. As if all this were strange, Brian Blackbourne, the San Diego coroner in the case, had never encountered a shark attack victim. In fact, no one who had seen the body had seen a victim of a shark attack before. In her defense, Blackbourne contacted experts at the Scripps Institute of Oceanography to learn more about the victims of the shark attack, but in reality, they never saw the body. While no teeth of this caliber were found on the woman’s body, there were multiple bite marks left by blue sharks, and it was known that they definitely fed on Michelle’s body. Subsequently, a local pathologist discovered that there was no evidence to suggest that the bites occurred before death. Therefore, after weeks of discussions and studies, authorities on the subject of sharks refused to include von Emster on the list of animal fatalities. The state of Von Emster’s official death went from being a statistic to a kind of morbid limbo in which any kind of speculation was valid. But if she was not attacked to death by a shark, how the hell had she died? Due to contradictory evidence against the initial findings, the case of Michelle Von Emster received a new examination in 2008. This time, the coroner, Glenn Wagner, concluded that the sharks had taken Michelle’s body after her death. Therefore, history took a radical turn. If an expert declared that only a white shark could have taken Michelle’s leg, and several experts had agreed that it was not a white shark attack, would not it be in some way more credible that it is not a shark attack? Since then, several theories have been opened about what might have happened that night. It is possible that Michelle went swimming at midnight, was caught in a tide, her body hit violently against the rocks, and suffered various injuries. He later went past the blue sharks after his lifeless body was submerged in the ocean. However, this theory limps for several reasons. The temperature of the water at that time was very cold, too much to think about going for a swim (and then at midnight). Not only that, the night air accentuated even more the thermal sensation so that someone went to the water a while. Another theory tells the possible fall of the girl by a cliff in the area. Von Emster would have died as a result of an unfortunate fall from Sunset Cliffs. The area is known for having some deteriorated sandstone, and in addition there have been deaths previously of victims that fell from the cliffs. If so, the injuries were the result of a fall, a push or even a vehicle that could have forced her to jump. While this theory may seem plausible at first, a second reading also offers too many holes. Yes, she could have suffered neck fractures and bruises due to a fall, but it is not very likely that the missing leg was the result of any fall from the cliff. Thus, we come to the theory of murder, the most widespread as the years went by. Someone attacked the woman and left her to die in the Pacific or drowned her. One of the experts mentioned that the girl would have had to swallow a lot to ingest so much sand, this could have happened on the coast when someone drowned her, for example. The truth is that the theory of murder seems the most likely scenario. It was known that Michelle lived in a dangerous neighborhood with a lot of crime. So, anything could have happened to her, before her body was thrown to the cliffs. Also, there is no rational explanation for why the body was naked. How could a shark victim, victim of a cliff fall or victim of an accidental drowning, get naked? It does not seem to make much sense. By the way, Michelle’s bag was found in the sand, in a busy area, about 3 kilometers from her body. The bag contained keys and money, and it would be unlikely that anyone would see the bag in 24 hours. Someone could have killed her and then planted it there to look like an accident. One of the unofficial suspects was an acquaintance, Edwin Decker. Decker originally told the police that Michelle liked to swim naked, which could be true, or she might be trying to cover her traces of why her body was found naked. However, Decker was one of the people who asked that Michelle’s case be re-examined. Be that as it may, and regardless of the setting, Michelle Von Emster died horribly, and her explanation seems to have no sign of being solved. It seems clear that a predator attacked her, although the trickiest thing is to know the species of the same. What a crock this is. Its another shark victim and that is that.